Greetings from the Deep South Swamplands! 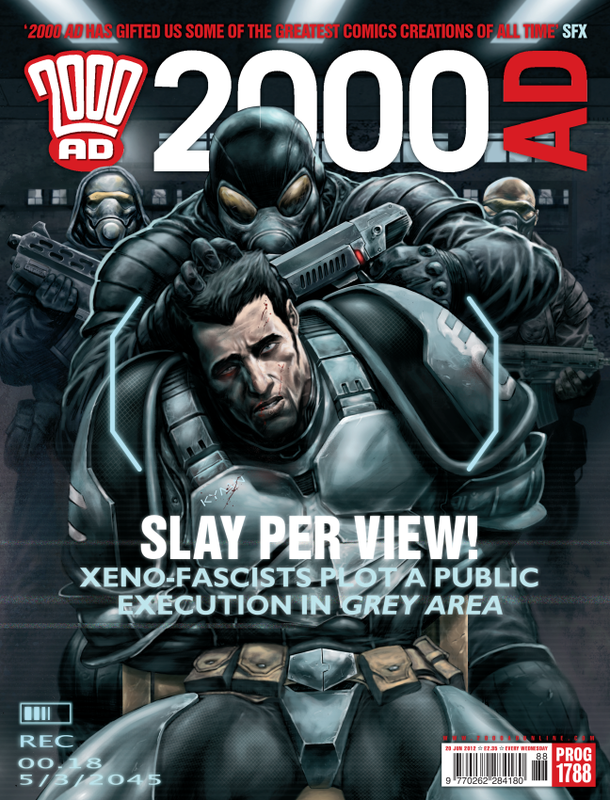 Here’s a sampling of the upcoming Prog courtesy of 2000 AD. 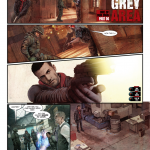 These pages may provide anti-fodder for your Father’s Day conversations. 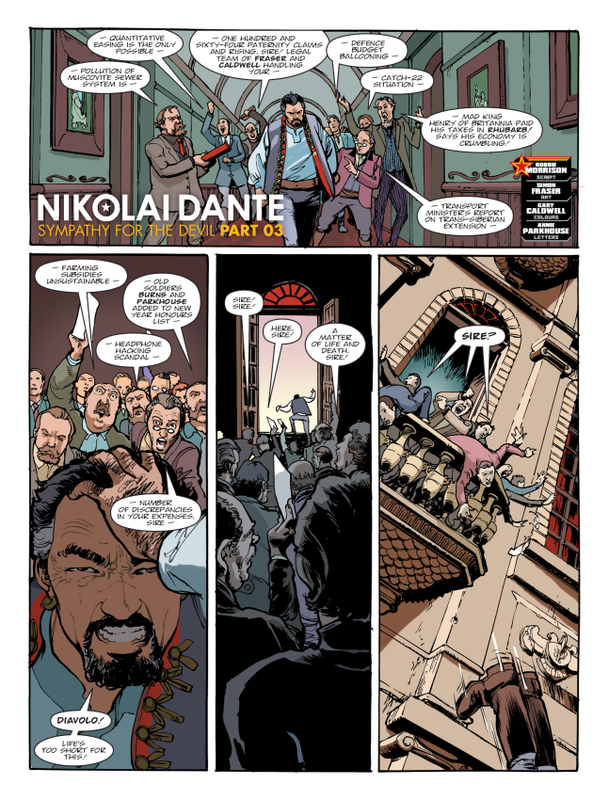 1 page from the latest Nikolai Dante, Durham Red, and Grey Area stories. 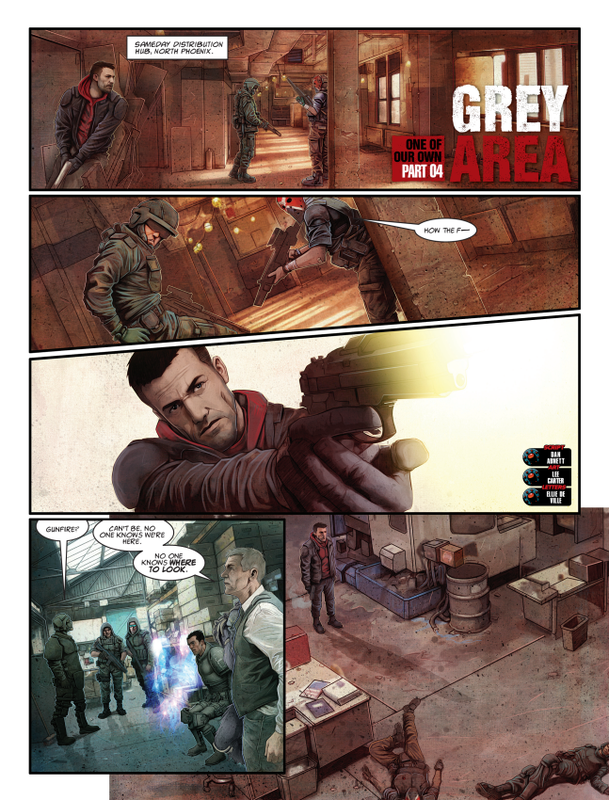 Will these 5 pages satisfy your desire for Thrill-power until Wednesday? Tell us in the comments section. 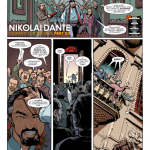 Barring accidents or the apocalypse, a review of 1788 will be posted before Wednesday. 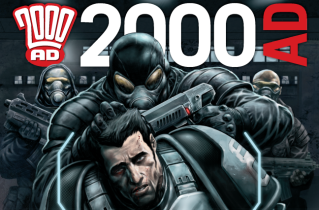 Visit the 2000AD website! 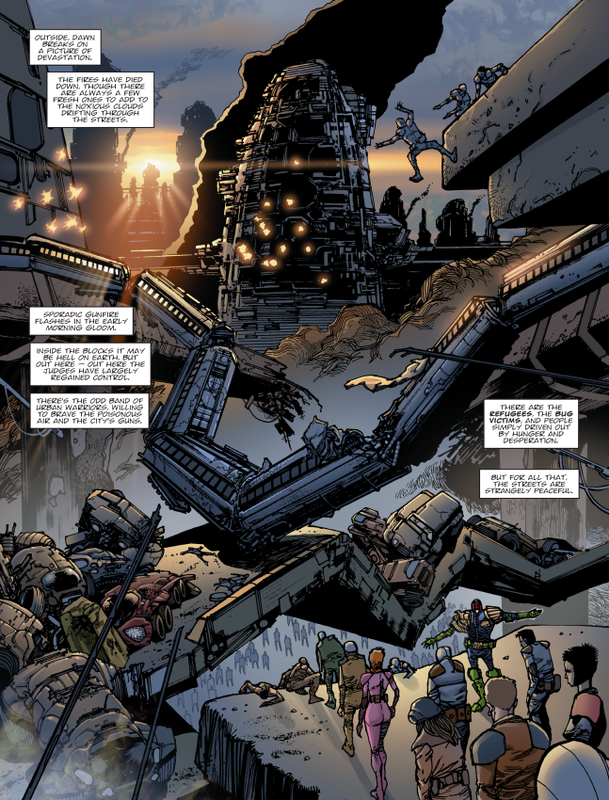 Intriguing to consider that ‘Judge Dredd’ is now the longest-running and most successful Sci-Fi strip in the history of UK-comics. People refer to ‘Dan Dare’ in ‘Eagle’ – which launched in 1950, and after a severe inconsistent quality-drop the Dare strip petered out amidst reprints by the end of the 1960’s. 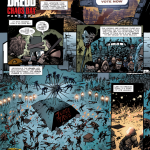 Yes, there was a (partial) relaunch in ‘2000AD’ and then in the ‘New Eagle’ – and even now in the excellent ‘Spaceship Away’, but even adding in these add-ons, they don’t come close the Dredd’s longevity. 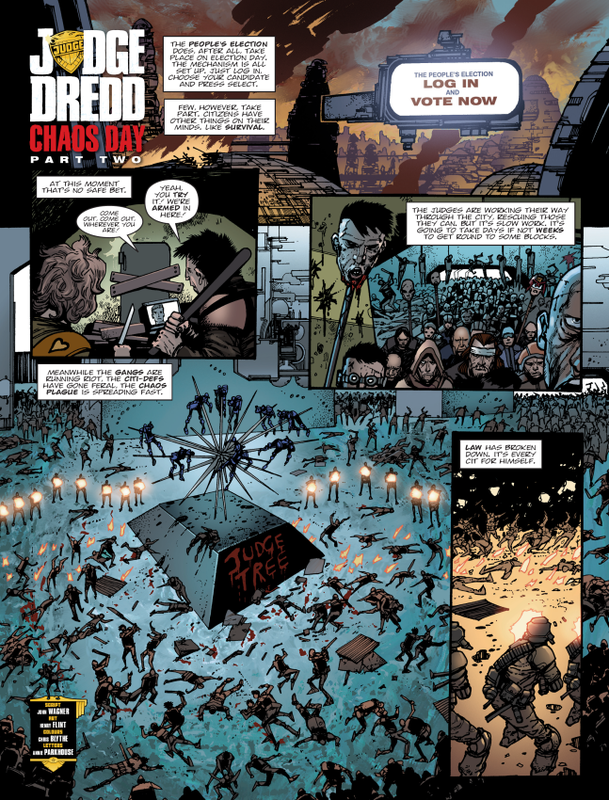 The quality of the Dredd strips in also more consistent… makes you think, don’t it…? Thank you, Andrew, for your insight. Your comment may be one reason some of us here in the States aren’t looking forward to a Dan Dare movie or even anything about Dan to import. Your comparison between Dredd and Dare reminded me of two BBC sci-fi franchises: the long-running mega-franchise Doctor Who to the also-ran Quartermass. Would my using Quartermass-Who be an apt comparison, Andrew? 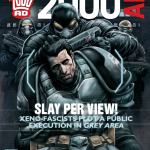 Again, thank you for your comment and please look around our 2000 AD section (http://redheadedmule.com/t/2000-ad/) and comics section (http://redheadedmule.com/t/comics/).